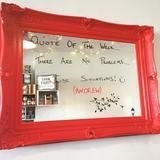 Urban Gourmet is a quaint cafe, deli and coffee shop on Battersea's St John's Hill. Here you can find a delightful range of organic produce, teas & coffees, juices & smoothies as well as a breakfast and lunch menu. 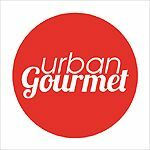 Do you work at Urban Gourmet? 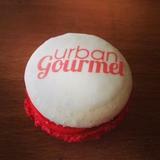 What did you think of Urban Gourmet? 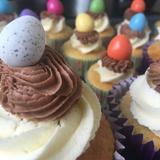 Take a peek you will be pleasantly surprised with the wide choice of fresh tasty meals and cakes......alongside smoothies (including vegetable ones). I tried an oat flapjack mixed with seeds (chia, poppy, sesame and more)I am hooked, I usually avoid flapjacks finding them overly sweet and sickly. My husband had the artichoke, pesto, spinach panini, there was a lot more in this but I cannot remember but boy it was brimming with flavour.....came with a small side salad. The back room (of a converted house) had a more seating and had a nice airy feel with some original features. 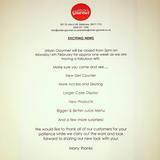 The staff were friendly and attentive, the food - homemade and good quality, go on support your independent.....and enjoy.